For years, NATO has granted impunity to convoys packed with supplies bound for ISIS and Al Qaeda. 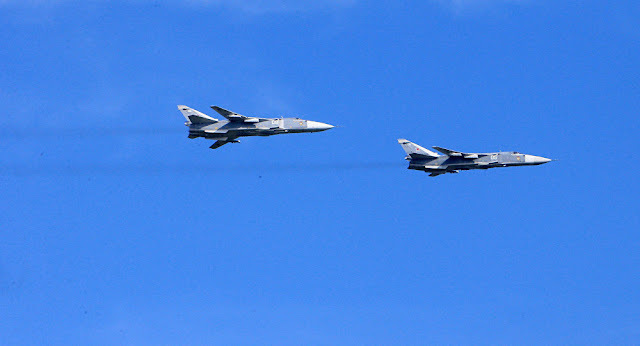 Russian airstrikes have stopped them dead in their tracks. 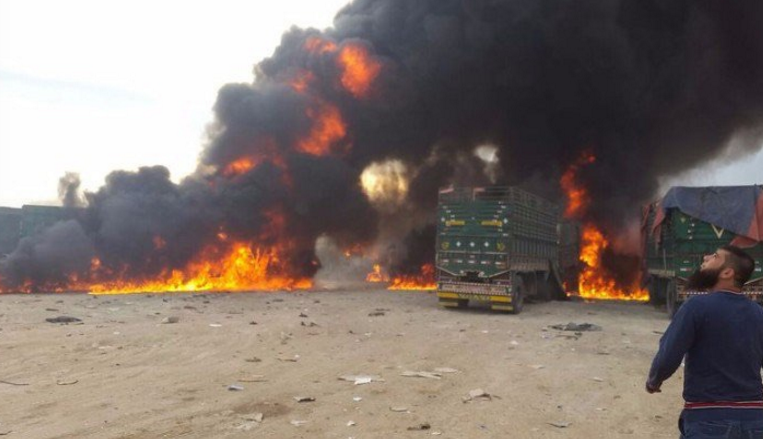 November 29, 2015 (Tony Cartalucci - NEO) - If a legitimate, well-documented aid convoy carrying humanitarian supplies bound for civilians inside Syria was truly destroyed by Russian airstrikes, it is likely the world would never have heard the end of it. 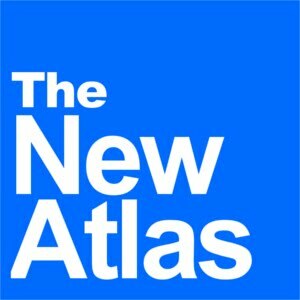 Instead, much of the world has heard little at all about a supposed "aid" convoy destroyed near Azaz, Syria, at the very edge of the Afrin-Jarabulus corridor through which the so-called Islamic State (ISIS) and Al Qaeda's remaining supply lines pass, and in which NATO has long-sought to create a "buffer zone" more accurately described as a Syrian-based, NATO-occupied springboard from which to launch terrorism deeper into Syrian territory. Daily Sabah's report also reveals that the Turkish-Syrian border crossing of Oncupinar is held by what it calls "rebels." The border crossing of Oncupinar should be familiar to many as it was the scene of Germany's international broadcaster Deutsche Welle's (DW) investigative report where DW camera crews videotaped hundreds of trucks waiting at the border, bound for ISIS territory, apparently with full approval of Ankara. 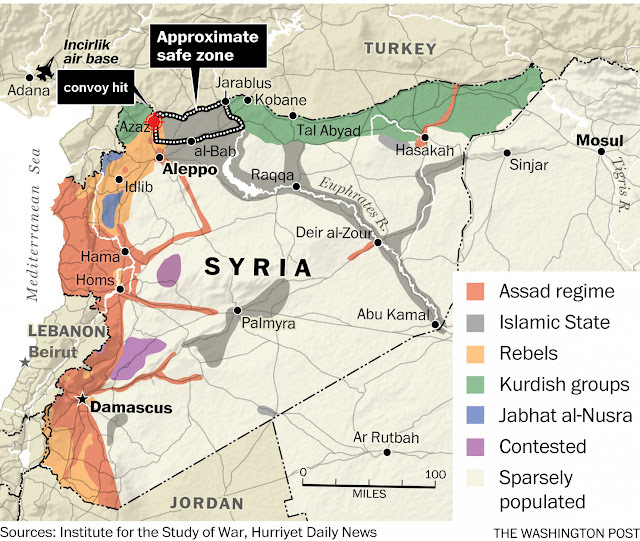 The report, and many others like it, left many around the world wondering why, if the US is willing to carry out risky military operations deep within Syrian territory to allegedly "fight ISIS," the US and its allies don't commit to a much less riskier strategy of securing the Turkish-Syrian border within Turkey's territory itself - especially considering that the United States maintains an airbase, training camps, and intelligence outposts within Turkish territory and along the very border ISIS supply convoys are crossing over. 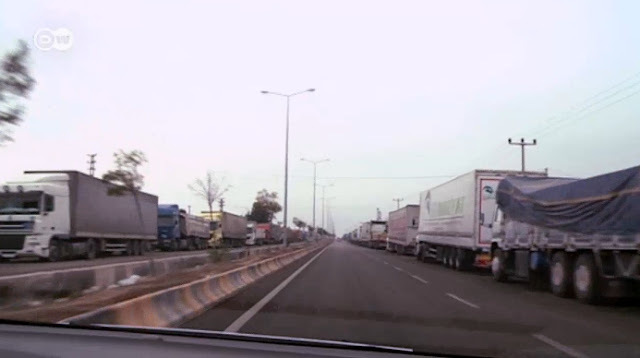 Image: A year ago when Germany's DW reported that hundreds of trucks a day crossed the Turkish-Syrian border bound for ISIS occupied territory, many wondered why neither Turkey nor the United States made any attempts to stop them. 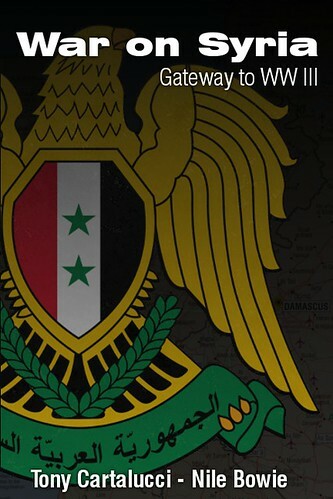 A year later, Russia has finally cut this overt and quite immense terrorist logistical operation. Ideally, NATO should have interdicted these supply convoys before they even crossed over into Syria - arresting the drivers and tracking those who filled the trucks back to their source and arresting them as well. Alternatively, the trucks should have been destroyed either at the border or at the very least, once they had entered into Syria and were clearly headed toward ISIS-occupied territory. That none of this took place left many to draw conclusions that the impunity granted to this overt logistical network was intentional and implicated NATO directly in the feeding of the very ISIS terrorists it claimed to be "fighting." Obviously, any nation truly interested in defeating ISIS would attack it at its very source - its supply lines. Military weaponry may have changed over the centuries, but military strategy, particularly identifying and severing an enemy's supply lines is a tried and true method of achieving victory in any conflict. Russia, therefore, would find these convoys a natural target and would attempt to hit them as close to the Syrian-Turkish border as possible, to negate any chance the supplies would successfully reach ISIS' hands. Russian President Vladmir Putin noted, regarding the Azaz convoy in particular, that if the convoy was legitimately carrying aid, it would have been declared, and its activities made known to all nations operating military aircraft in the region. The trucks hit in the recent airstrikes, just as they were during the DW investigation, were carrying concrete and steel, not "milk and diapers" as the West would lead audiences to believe. That the supplies were passing through a "rebel" controlled crossing means that the supplies were surely headed to "rebel" controlled territory - either Al Qaeda's Al Nusra Front in the west, or ISIS in the east. Russian airstrikes insured that the supplies reached neither. Russia's increased activity along the Syrian-Turkish border signifies the closing phases of the Syrian conflict. With Syrian and Kurdish forces holding the border east of the Euphrates, the Afrin-Jarabulus corridor is the only remaining conduit for supplies bound for terrorists in Syria to pass. Syrian forces have begun pushing east toward the Euphrates from Aleppo, and then will move north to the Syrian-Turkish border near Jarabulus. Approximately 90-100 km west near Afrin, Ad Dana, and Azaz, it appears Russia has begun cutting off terrorist supply lines right at the border. It is likely Syrian forces will arrive and secure this region as well. Image: Russian airpower in the region may be less numerous, but it is picking all the right targets. It appears that the United States, in its year long "fight" against ISIS, was merely an attempt to buy time for the terrorist organization before others stepped in and exterminated it. For those that have criticized Russia's air campaign claiming conflicts can't be won from the air without a ground component, it should be clear by now that the Syrian Arab Army is that ground component, and has dealt ISIS and Al Qaeda its most spectacular defeats in the conflict. When this corridor is closed and supplies cut off, ISIS, Nusra, and all associated NATO-backed factions will atrophy and die as the Syrian military restores order across the country. This may be why there has been a sudden "rush" by the West to move assets into the region, the impetus driving the United States to place special forces into Syrian territory itself, and for Turkey's ambush of a Russian Su-24 near the Syrian-Turkish border. What all of this adds up to is a clear illustration of precisely why the Syrian conflict was never truly a "civil war." The summation of support for militants fighting against the Syrian government and people, has come from beyond Syria's borders. With that support being cut off and the prospect of these militants being eradicated, the true sponsors behind this conflict are moving more directly and overtly to salvage their failed conspiracy against the Syrian state. What we see emerging is what was suspected and even obvious all along - a proxy war started by, and fought for Western hegemonic ambitions in the region, intentionally feeding the forces of extremism, not fighting them.